How to transfer movies and music from iTunes to USB flash drive? If you are portable device user, you may have this question. You can play the transferred iTunes movies on tablet, smartphone, even Smart TV and 4K UHD TV. Really? The answer is "NO". Please follow this article to learn how to transfer iTunes movies to USB flash drive for playing without any problem. If you don't already have iTunes installed on your computer, you'll need to get the free download and install it on your computer. iTunes is available for Mac or PC, and the website will automatically detect which version you need. Run iTunes on your Windows or Mac computer. Go to iTunes on your computer, sign in to the iTunes Store, and choose Store > Check for Available Downloads and be able to download the movie using your computer. You can transfer the downloaded iTunes movies to your USB flash drive easily. Can I play the downloaded movies via USB flash drive? It's a pity, you can't watch the downloaded iTunes 1080P movies via USB flash drive or other Android/Windows devices due to the DRM protection. If you connect your USB flash drive to a HDTV, your TV will can't read the media files. For playing iTunes movies freely, we have to remove the DRM protection from iTunes movie files. We provided you the best DRM removal software here. 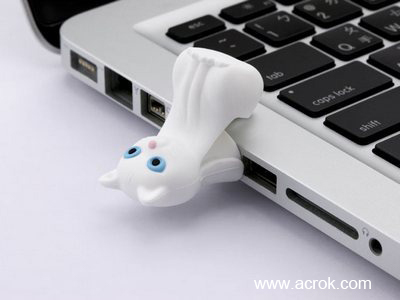 Acrok M4VGO (Windows Version | Mac Version) will help you convert iTunes movie for your USB flash drive. In addition, this DRM removal software can convert any video to any hot devices, such as iPad Air, Galaxy Note Pro, Iconia B1, Chromebook, Galaxy Tab S3, Surface Pro, Galaxy S8, HTC Desire 10 Pro, Sony Xperia Z5, etc.You can free download this program here. Run M4VGO for Windows or M4VGO for Mac as the best iTunes movie converter, when the main interface pops up, you can drag the downloaded iTunes movies into this app. If you like, you can click "Add File" icon to load media files. You can choose any video format as output video/audio format. Just click "Format" bar to choose your needs. If you want to play iTunes movies freely, we suggest you choose H.264 MP4 as output video format. If you plan to get music, you can choose MP3 under common audio category. When everything is ready, click the convert button to start converting iTunes movies on Windows XP/ Vista /Windows 7/Windows 8/Windows 8.1/Windows 10. That's all. After conversion, you can transfer the converted videos to your USB flash drive from your computer. Acrok Media Converter is only software i found in the internet for searching more than 1 month that could convert the copyrighted files to required format and clarity is also very good.